In honor of the New Year, Boost Your Photography is spending the month of January featuring collections of top posts across a variety of topics. 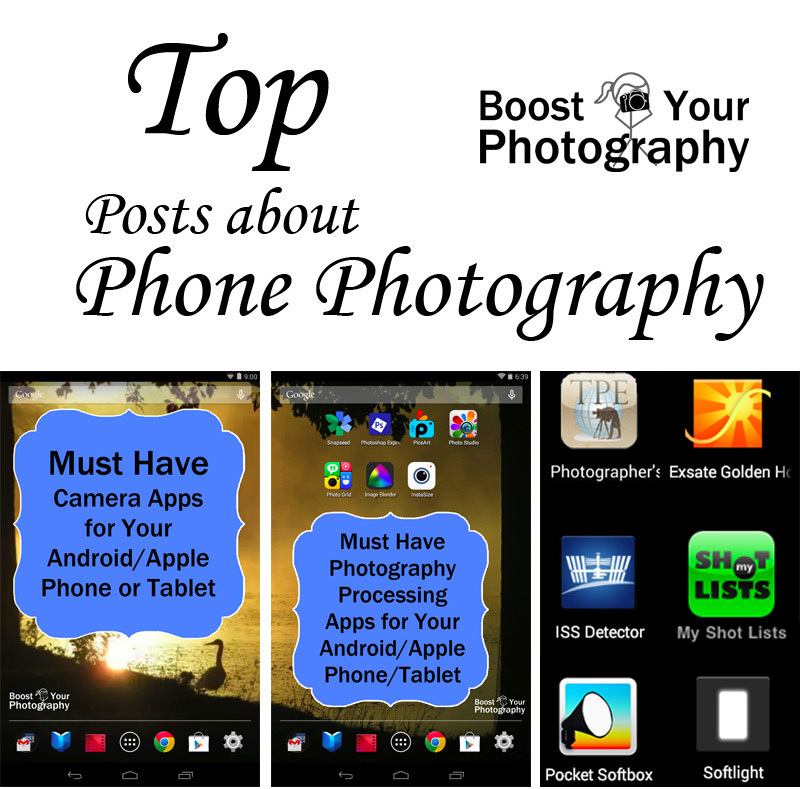 Today's post highlights top posts about phone photography. Previous top posts have covered camera settings, aperture, exposure, DIY photography hacks, composition, lenses and accessories, top photography ideas, and macro photography. Must Have Photography Camera Apps. This post focuses on Android and Apple apps for taking pictures with your phone. Each app is explained in detail, along with an overview and screenshots, to help you find the perfect camera app for you. Must Have Photography Processing Apps. Take your phone photographs to the next level with this incredible selection of photography processing apps. These apps will allow you to get exactly the look you want in your photographs as well as add creative features like text, borders, and even collages. Must Have Apps to Assist Your Photography. This final app-tastic post highlights a variety of useful apps that can aid your photography. These apps will help you plan your shots, plan ahead for your shots, and add light and other effects.